I was searching for movies like Ghostbusters, and I was instantly transported back to an era of seriously epic, funny and now classic ones to add to my list! The original sequel was a mix of comedy and action films that left audiences wanting more! Now with a new Ghostbusters movie hitting theaters in July, I knew I had to rewatch some of those hilarious action and comedy movies that are giving their audiences life. Check out some of my picks below, along with some juicy info, as well as the trailer. 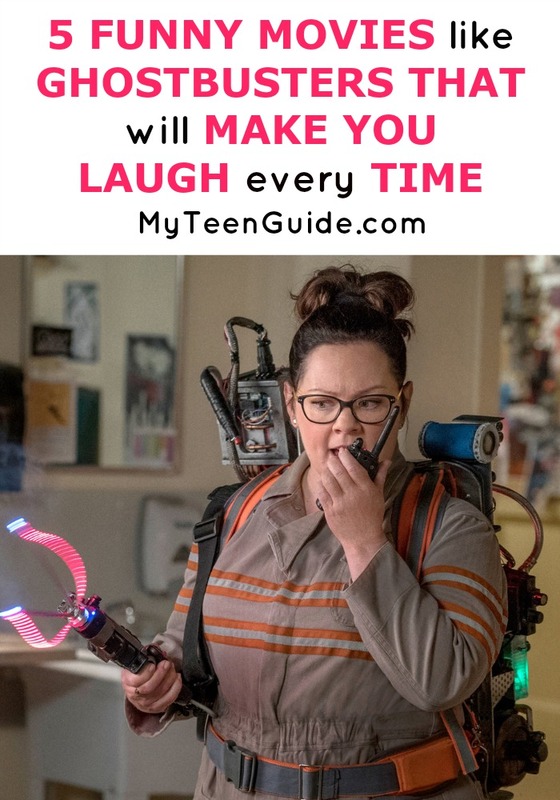 Ghostbusters is a supernatural comedy film that will be released in theaters on July 15, 2016. The hot summer movie is about two authors, a nuclear engineer and a NYC subway worker who team up together to help save the world from ghosts. Here are some other movies that are like Ghostbusters, along with the trailer! Gremlins is a 1984 comedy horror movie starring Zach Galligan and Phoebe Cates. Howie Mandel provided the voice role of Gizmo, the main Gremlin. The movie told the tale of Billy, who receives a gremlin as a pet. When he breaks two of the three rules of his new pet, a horde of evil critters is unleashed into the small town. Spaceballs is a 1987 comedy film that parodies movies such as Star Wars, Planet of the Apes, Alien and Star Trek. The movie stars Mel Brooks, John Candy, Bill Pullman and Rick Moranis. Spaceballs tells the tale of President Skroob of Planet Spaceballs, who sends Lord Dark Helmet to Planet Druidia to steal some of their air supply since theirs is running low. Short Circuit is a 1986 science fiction : a comedy, starring Ally Sheedy, Steve Guttenberg, Austin Pendleton, Fisher Stevens and Tim Blaney. The movie is about an experimental military robot who gets hit by lightning and discovers he now is more humanlike. If you like the movie, they also made Short Circuit 2! Beetlejuice is a 1988 comedy horror movie starring Alec Baldwin, Geena Davis, Michael Keaton and Winona Ryder. Beetlejuice is about a family that moves into a new home, one that is also inhabited by the former owners, who are deceased as well as an annoying ghost. The Haunted Mansion is a 2003 horror fantasy comedy movie that is based on the Disney theme parks ride of the same name. The movie stars Eddie Murphy, Terence Stamp, Marsha Thomason, Nathaniel Parker and Jennifer Tilly. The Haunted Mansion film is about a realtor and his family, who are sent to a mansion, which they soon discover is haunted with ghosts. Which of these movies like Ghostbusters are you adding to your list? Have you seen any of these hilarious (and somewhat classic!) films before? Tell me in the comments!